Are you sure that the recent outbreak on your skin is acne and not some other potential skin problem? 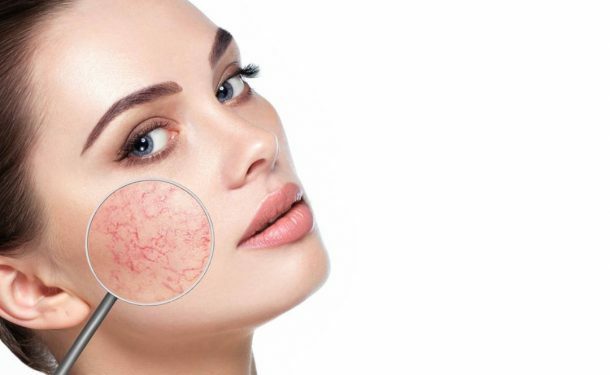 Redness, lesions, rashes, and itchiness – while all these generic skin symptoms are often associated with acne; they can be potential signs of some serious and chronic skin problems, like Rosacea and Seborrheic Dermatitis, too. Though rarely grave and life-threatening, both these inflammatory skin disorders can lead to severe skin complications, if ignored and left untreated. That’s why, it is more than important not to confuse all kind of skin lesions and bumps with acne and consult a dermatologist for proper diagnosis and treatment. Learning about your skin condition and its signs and symptoms is the first step in the right direction. So, here’s all that you need to know about these overlapping skin problems and ways to effectively treat them. What is Rosacea and Seborrheic Dermatitis? Rosacea is a chronic skin condition that causes pimples, pustules, redness, and swelling on the face. Often referred to as “adult acne,” Rosacea is best known by redness on the cheeks, which gradually progresses to forehead, chin, and nose. Over the time, Rosacea may even spread to eyes, ears, chest, and back. It usually begins as a flushing and blushing reaction, which may occur in response to emotional, physiological, and environmental factors. Seborrheic Dermatitis, like Rosacea, is also an inflammatory skin disorder that affects face, scalp, and other areas of the body. The yellow, greasy scales mostly appear inside the ears, in the eyebrows, on the forehead, and around the nose, and often increase and worsen with time. Also, there’s no flushing and blushing reaction in dermatitis. Though the actual cause of Seborrheic Dermatitis is still unknown, it’s believed to be caused due to malfunctioning or over secretion of sebaceous glands. While both Rosacea and Seborrheic Dermatitis are inflammatory skin conditions, the two are quite different from each other. Also, the specific areas of infection are also different and may provide a clue for diagnosis. In Seborrheic Dermatitis, yellow, greasy scale appears in eyebrows, ears, scalp, forehead, and nasolabial folds, while cheeks and adjoining areas are affected in Rosacea. The absence of acne-like pustules in Seborrheic Dermatitis is another big differentiator. Seeking medical advice is the best way to treat any skin associated problem and this holds true for Acne, Rosacea, and Seborrheic Dermatitis too. Since all these conditions are often overlapping and confusing, only an expert dermatologist will be able to clinically diagnose and treat the disease. Using OTC drugs and beauty products could only worsen the skin problem. In case you are suffering from Acne, Rosacea, or Seborrheic Dermatitis, or are unsure of the frequent breakouts that are occurring on your skin and what to get them checked, get in touch with EPIC Primary Care. Our certified team of expert dermatologists and medical estheticians offer comprehensive assessment of your skin to diagnosis any underlying skin problem and offer the best treatment options available. They can also educate you about all the potential triggers that can aggravate your condition and suggest sunscreen recommendations, over the counter treatments, and makeup and skin care products that can help relive the problem. Come, get in touch with EPIC PC dermatologists today and get comprehensive, tailored treatment for your individual skin problems. We can help you stop the progression of the disease and reverse its side effects. Dial 248-336-4000 (Ferndale) or 313-861-4400 (Detroit) to book an appointment with our EPIC dermatologist and medical estheticians today!